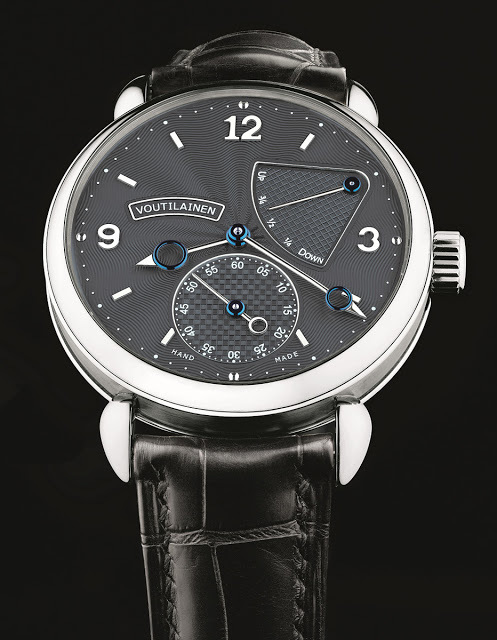 Equipped with a power reserve indicator and hack seconds, the Voutilainen V-8R is an evolution of the Vingt-8, with 70 components added to the movement. The Vingt-8 is Kari Voutilainen’s entry level (if there was such a thing) wristwatch, and the V-8R takes the concept further. It has a hack seconds, as well as a power reserve display. But more notable is the cut-off for the mainspring, which limits the barrel to its optimal torque. 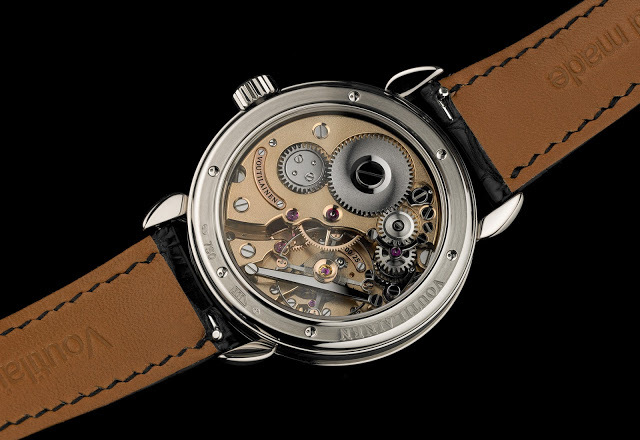 Though the movement has a 65 hour power reserve in total, the V-8R runs for just over 48 hours thanks to a Maltese cross on the barrel, which is the period for which the mainspring delivers the most stable torque.